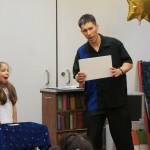 During the year I perform several magic shows in the Newcastle-Renton-Bellevue area for private parties, company events, schools, and organizations. 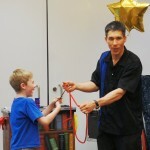 Here are some photos from my recent performance for the Newport Way Library. 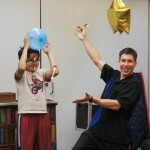 See what I’ve been up to lately at my Facebook fan site, Twitter, and Pinterest. 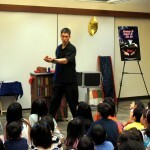 For more details about having me perform for your Bellevue children’s party or corporate event in Bellevue, call toll-free (877) 412-5064 or send e-mail to jeff [at] amazementproductions.com. 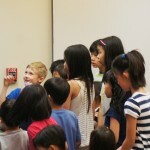 This entry was posted in Uncategorized and tagged Bellevue, birthday party, library, magic, magician, newcastle, Newport Way, party, renton. Bookmark the permalink.